Former Pakistan Prime Minister Nawaz Sharif on Monday has been sentenced to seven-year imprisonment by an anti-corruption court in an investment and Al-Azizia cases. All three were released from jail after the Islamabad High Court (IHC) suspended their prison terms. On December 7, the Supreme Court (SC) had given the accountability court its last extension to wrap up the two remaining references against the Sharif family. The 68-year-old was taken into custody and will be sent to a prison in Lahore, and was also fined 1.5 billion rupees (£8.5million), according to state-run Pakistan Television. The court last week rejected Sharif's request for postponement of the verdict for a week, as he wanted to submit some more evidence to bolster his case. His two sons, who are now living in London, were declared absconders by the court. 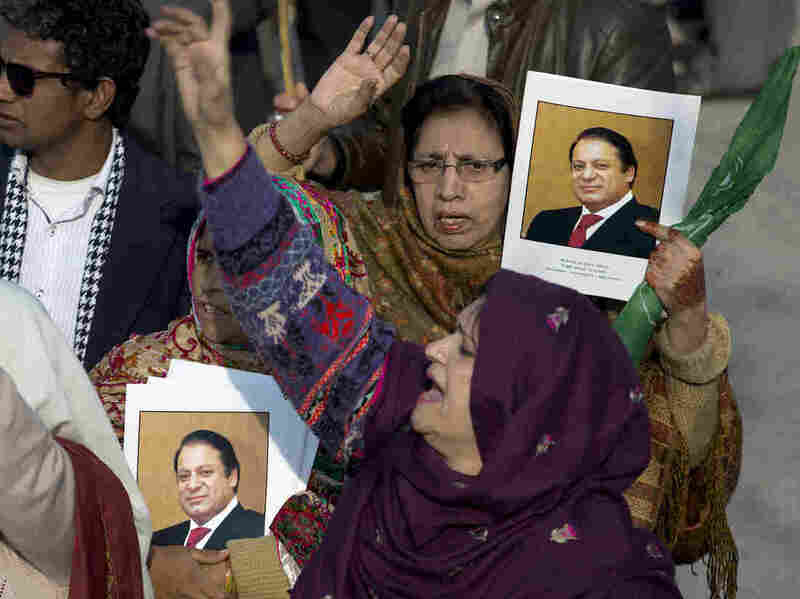 Scores of PML-N workers gathered outside the court premises to show their support for the party's supreme leader. Pakistan Muslim League leader and daughter of former prime minister Maryam Nawaz on Tuesday has responded to the accountability court's verdict against the Nawaz Sharif. Sharif's supporters said he would appeal. Shortly before the announcement of the verdict, clashes erupted between supporters of Sharif and police in Islamabad. "I do not have any sort of fear; my conscience is clear". Speaking with reporters inside the courtroom after the verdict was announced, Sharif said, "I am satisfied with life, because as a ruler I always served the nation and my country". Hamza Shehbaz, Shehbaz Sharif's son and the opposition leader in Punjab Assembly, is also facing inquiries in connection with multiple corruption cases. Tear gas and baton-charge was used to disperse the protesters. The JIT's findings linked the fake bank accounts to Zardari, claiming that the PPP-Parliamentarians president's personal expenses were also paid through the accounts' funds. In July 2017, he was disqualified by the Supreme Court over the Panama Papers scandal, which also led to the filing of three corruption cases. A long series of court cases in which the Sharif family have fought accusations of money laundering, tax evasion and hiding offshore assets culminated in Monday's judgement. Following the conviction, Nawaz, through his counsel filed a petition in the IHC that sought transfer of cases to another court, pleading "since the evidence and the arguments in all three references were similar, the outcome may be the same if the same judge heard the case".